One of the characteristics that observers notice when they consider the anti-globalization protests of the past decade or so is the extent of transnational relationships that exist among activists and activist organizations. Sidney Tarrow provides a scholarly examination of these kinds of movements in The New Transnational Activism , where he tries to understand the organizational and situational circumstances that either facilitate or impede calls to popular action concerning large issues that affect many countries. (Here is a post on transnational activism and an earlier post on anti-NATO protests in Strasbourg a couple of years ago.) This is important work, and transnational activism is certainly an important feature of the world scene today. Our attention, though, is often restricted to the recent past when we think about transnational activism. So it is useful to consider earlier periods in the twentieth century in which movements succeeded at some level at bringing together multi-national coalitions in support of an important social or political cause. One important instance is the international alliances that emerged in the radical end of the non-Communist labor movement in the 1950s. Nicola Pizzolato’s recent “Transnational Radicals: Labour Dissent and Political Activism in Detroit and Turin (1950-1970)” in a recent issue of international review of social history (link) is a great case study in this light. Pizzolata provides a very useful and detailed account of the political and theoretical developments that transpired in Detroit and Turin among activist workers and thinkers during this period. It is well worth reading for that reason alone. But it also provides a concrete instance of a situation in which workers and activists, located within the industrial system in different parts of the world, were able to form their own understandings and strategies concerning those industrial realities, and the degree to which there was meaningful interaction among these groups. By 1968, more than 2.5 million African Americans belonged to the AFL-CIO. Yet the vast majority of black workers were marginalized and alienated from labor’s predominantly white conservative leadership. In 1967, black militant workers at Ford Motor Company’s automobile plant in Mahwah, New Jersey, initiated the United Black Brothers. In 1968, African-American steelworkers in Maryland established the Shipyard Workers for Job Equality to oppose the discriminatory policies and practices of both their union and management. Similar black workers’ groups, both inside and outside trade unions, began to develop throughout the country. The more moderate liberal to progressive tendency of this upsurgence of black workers was expressed organizationally in 1972 with the establishment of the Coalition of Black Trade Unions. The “Correspondence” was a post-Trotskyist version of anti-capitalist theory and activism, rooted in the Detroit auto industry and involving names that are still familiar in Detroit: James Boggs and Grace Lee Boggs, General Baker, Martin Glaberman, Charles Denby, William Gorman and George Rawick (6). (Parenthetically, Wayne State University enters the story at several junctures as a locus for theory and debate.) This segment of politically engaged workers was as critical of organized labor as they were of the companies. A key part of the political activism of the Correspondence consisted in its willingness to confront the racial divisions that existed in society and within the factory. “[Charles Denby’s Indignant Heart: A Black Worker’s Journal] took a particularly strong stand in support of both the possibility of interracial co-operation among workers and the necessity of an autonomous black struggle” (10). Essentially the developments that Pizzolato describes in Detroit and Turin represent a sustained, theoretically powerful attempt by radical thinkers and activists to rethink the role of working people within a progressive vision. There were a number of strands, but core was the “Johnson-Forest Tendency”, deriving from C. L. R. James and Raya Dunayevskaya. The perspective is “autonomist” — it rejects the idea that Communist parties, workers’ states, or bureaucratic union organizations do a good job of furthering workers’ interests. Rather, workers need to self-organize, both in terms of production and in terms of strategies and actions. Pizzolato makes the point that it is anti-Fordist, anti-Soviet, and anti-bureaucratic union. And, like the Occupy Wall Street movement today, its theorists attempted to go beyond existing radical dogma for a new radical diagnosis. thinking and action. C. L. R. James was an internationally recognized voice. But the influence of the Detroit radical groups on European and Italian working class activism required more direct linkages. What were they? Here are a few of the specific linkages that Pizzolato cites. In addition to theoretical debates and developments that extended across these specific transnational networks, the examples of large labor actions in 1967 and 1968 — Renault in France, FIAT in Turin, and the Big Three in Detroit — served to communicate strategies, tactics, and a spirit of boldness from one group to another. 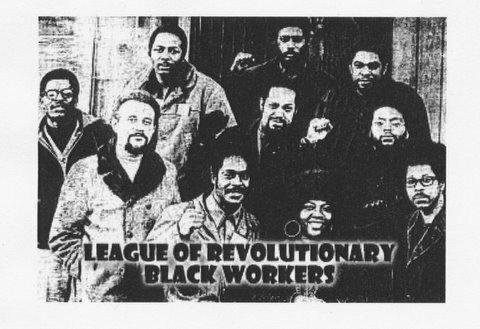 African-American activist John Watson soon traveled to several cities in Italy in 1970 (his second trip), to share the news about the League of Revolutionary Black Workers. What is fascinating about this whole story is the light it sheds on the formation of efforts at understanding and challenging a complex social order. There is an emphasis throughout much of this movement on taking workers’ experiences within the factory as the starting point. This implicitly challenges the preoccupation of the Old Left on the canonical ideas of Marxism and Leninism — the structure of capitalism, the vanguard party. But parallel to this independence of thinking is an independence in acting. The activists within this loose transnational community put the emphasis on workers’ actions, not the actions of bureaucratized organizations (parties, unions, states). And both aspects of this seem to have some resonance with the anti-globalization movement of the past 20 years.